Discussion in 'Firearms and Mac & Cheese' started by sstalder5, Oct 10, 2012. I picked up an old Darton compound bow at a flea market/thrift store type place (was that legal?) over the summer but I've just recently gotten into shooting it pretty regularly. I find it really soothing especially on these cold fall days. I'm not very good at it yet, but it's a lot of fun. Are there any archers out there on teh monkey? I feel like gff had a thread about it a while back iirc.. 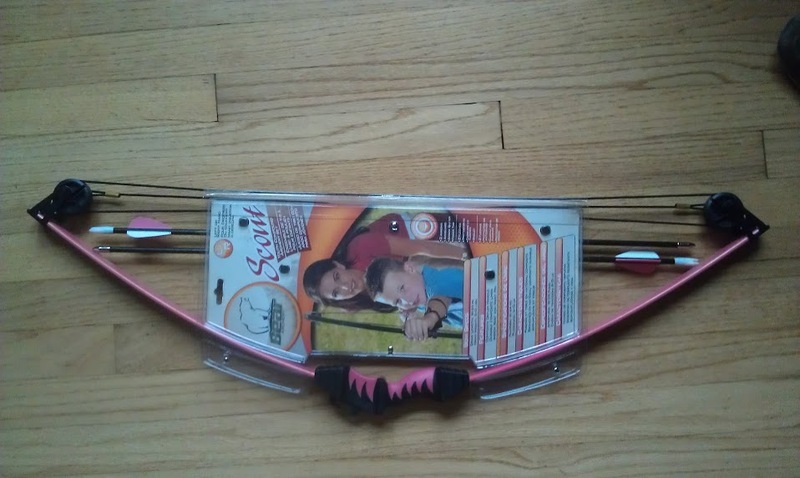 I haven't used a bow since I was a Boy Scout. Every now and then it seems like it would be fun to try again. i've been meaning to get my bow from my parents place. it was a hand me down compound, and yes, shooting archery is fun. and surprisingly relaxing. I don't know.. I didn't have a clue about archery stuff when I bought it. I just assumed it would require paperwork similar to buying a rifle or shotgun (that's not much in NC) but apparently not? And, if it wouldn't have been... and you posted it on a public forum... you could've been screwed at this point, huh? I shoot every day in the back yard. 45yd little range with my target compound bow. I picked up an old Darton compound bow at a flea market/thrift store type place (was that legal?). Did you pay using your usual combination of sexual favors and scheduled 1 narcotics? Then yes. Ted Nuget is that you? There used to be some rules about crossbows in NC but I think they have even done away with that. The couple that I have never required any paperwork. It looks like the house we are hoping to buy will have enough room to shoot more than 10 yards! I have an old hoyt raptor. I've been working into it. Hopefully I'll be good enough to go out for archery this year. Oh I shoot a Bear Bows I have a Legion for a small Axle to Axle for the tree stand, an Anarchy for stand up and for practice shooting and I also have a cross w that is some kind of Horton. I love all three of them. In MA you only have to be 18 to buy a bow but for the cross bow you can only target shoot with it, to hunt you need a letter from your dr. saying you are disabled and can't fire a normal compound. My kids both shoot recurves. Talked the wife into shooting the big ones and she wouldnt give it back to him..."Thats really fun...I want one too!"